Which stands for International English Language Testing System, is one of the most widespread exams used around the world by companies and universities because it evaluates your real knowledge of English. It is officially recognized in Australia, Britain, Canada, Ireland, New Zealand, South Africa and the USA. In some countries, IELTS also allows you to obtain educational credits that give you access to certain programs like Erasmus. Both formats assess students’ abilities in speaking, listening, reading and writing. The Listening and Speaking tests are the same for both formats, but the reading and writing are quite different. Let’s have a further look at how IELTS is structured and all the sections. Two people talking about everyday situations using simple, clear language and most times, the part you need to focus on is repeated. Tip: Pay attention to given facts. A speaker gives a monolog about situations set in an everyday social context in a slow pace and making pauses to help understanding. Tip: Again, focus on given facts. Up to 4 speakers engaged in a conversation about education or training situations. The pace of the conversation is faster and includes a more difficult vocabulary. Tip: Focus not only on given facts but also on speakers’ opinions. This section evaluates your fluency, your vocabulary, your grammatical performance and your pronunciation. You will be asked about personal topics. There are no right or wrong answers since you have to talk about your personal experience. E.g. name, nationality, work, hobbies, likes and dislikes, place of residence, etc. You will be given cards related to a certain topic and you’ll be given a few minutes to take notes and prepare a monologue about them. Finally, the examiner may ask you questions about them. Talk as much and as fluently as possible. Try not to hesitate when you answer a question (in this way, the examiner won’t interrupt you). Show the examiner that you are relaxed and feel at ease taking this test. You will be asked to answer 40 questions about three long passages taken from technical books, magazines, and newspapers similar to the ones you can find in a college class. This section tests your ability to read, understand the content and also what the author thinks and feels about the passage he has written. You will be asked to answer 40 questions about 4 or 5 short passages taken from books, leaflets, magazines, etc that you may find in everyday life. This section tests your ability to understand the general meaning of the passage, some details and also, the author’s opinion and purpose of the passage he has written. You will be asked to write a 150 report describing and analyzing the data stated in a bar chart, a line graph, a pie chart, a table and/or a diagram. You will be asked to write a 150 word informal/formal letter. 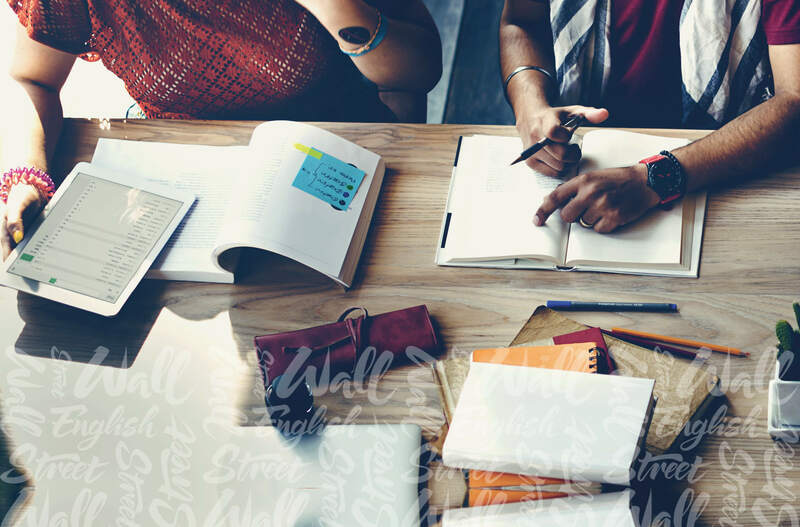 Among the many preparation courses available for the IELTS exam, Wall Street English is the only one which can offer you a tested and effective method that guarantees you pass with flying colors! Take a look at our English Courses page to find out more. Thanks for writing. If you’d like more details about taking the IELTS exam, the best thing to do is to contact your nearest Wall Street English center. They can help you prepare for the exam and organize when and where to do it. Hi WSE, I was wondering if there’s a service where one of WSE staff can mark my Writing for task 1 + 2 (academic) and give feedback where possible? I live in NSW, Sydney and I do not have a variety of means to travel, so this makes it really difficult for me to attend 3-4 hours face-to-face classes in somewhere distant from my home. Furthermore, I only wish to improve my Writing and is in dire for someone to give me a reflection on my writing and estimate band score. Any response from WSE regarding this matter is highly appreciated. For reference, I am planning to take the IELTS test in November 2018 for my Visa extension and need to have a 7.0 overall with no bands lower than 7.0. Hello, any idea if how much would it cost for enrolling in WSE relating to IELTS preparation? thank you. I’m afraid I don’t have information about the costs because it will depend on your location. I recommend visiting your nearest Wall Street English center and they can give you all the info you need. Good luck with the certificate! Con I book an ielts test with you? To book an IELTS test I recommend you contact your nearest Wall Street English center.